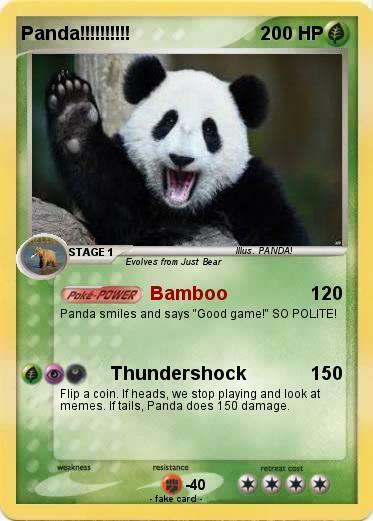 Panda smiles and says "Good game!" SO POLITE! Flip a coin. If heads, we stop playing and look at memes. If tails, Panda does 150 damage. Comments : This panda is nice, yet POWERUL. And fat. And CUTE!